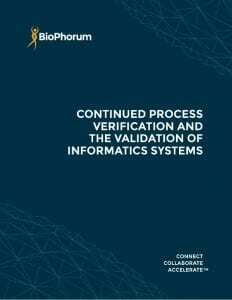 A year after the publication of the First Edition Biomanufacturing Technology Roadmap, this process is not only enabling biomanufacturers in the Phorum to share dynamically technology strategies with each other, but also share these with supply partners, academia and regional agencies enabling all stakeholder groups to align their technology development efforts to the needs and challenges of the entire industry. Moreover, the strategic discussions among members have enabled Technology Roadmapping to mobilize teams to work towards outcomes establishing a portfolio of high-impact projects that will accelerate technology development and adoption. Focusing on the most impactful opportunities where industry collaboration is required, the Phorum has launched a suite of projects, in the six key areas of process technology, in-line monitoring and real-time release, modular and mobile, fully automated facility, knowledge management and supply partnership management. A table describing the implementation projects is shown. These projects are already moving with great momentum and delivering key milestones. In the plug and play project, for example, Supply Partner members are now aligned to deliver a physical prototype. Open industry collaboration has been a critical factor in making these projects possible. 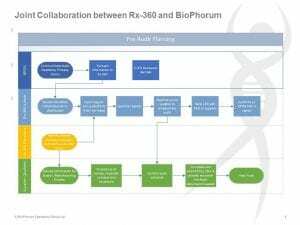 As each project delivers on its goals, so it will deliver measurable industry progress to the benefit of individual Phorum members and, eventually, to the entire biomanufacturing industry. A batch harvest solution to rapidly process high density cell culture in a single use, flexible facility using limited floor space in a non classified environment. White paper with URSs to guide the development of new in-line, at-line and on-line technologies, focused on highest impact CQAs and IPCs. (15) Define user requirements and standard facility options to rapidly respond to biologics manufacturing production needs (less than 1 year response time). Proven performance and OPEX reduction cases. Proof of concept, connect skid control system to PCS with soft simulation of skid equipment. 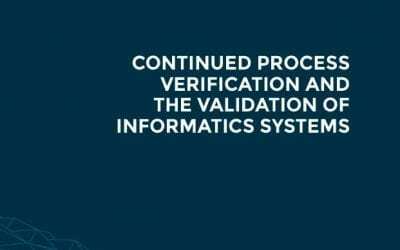 Quality - reduced verification and variability. Develop framework for biopharm industry describing standardised approach to managing product and process knowledge across lifecycle. Greater ability to measure the performance of knowledge flow. Including modelled productivity improvement, e.g. FTEs per filing or MPV on a product, PPQ success rate?